Alright you guys, it’s the holidays and I wanted to say a big THANK YOU to y’all for popping in here all year, leaving comments, being so encouraging with my Etsy shop this year, keeping up with our renovation, and just being the sweet readers you are. 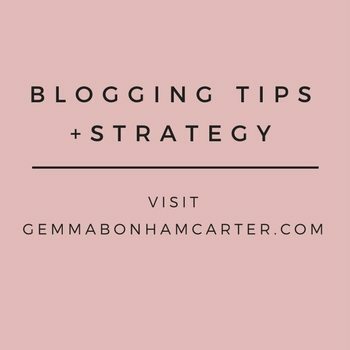 In case you ever wondered, yes I make some money from this blog but it is really pretty minimal – the main reason I do it is because I just love this community of readers and fellow bloggers so much. You guys are the bomb diggity. 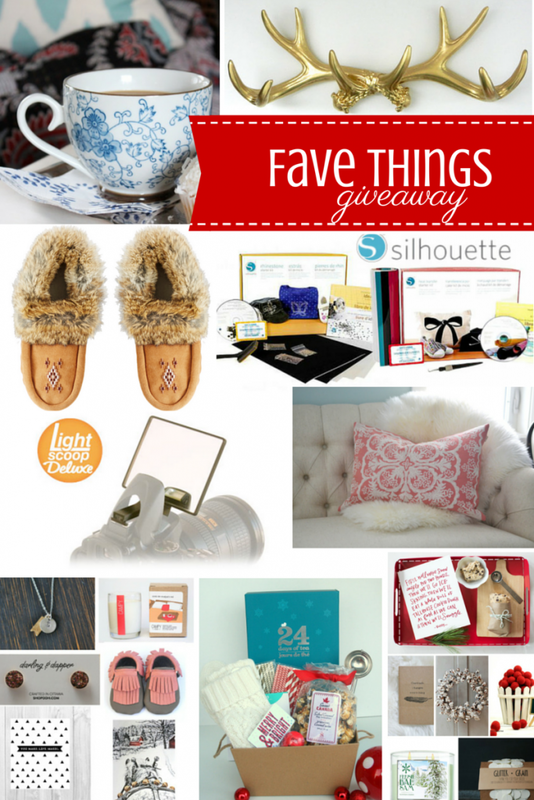 So enough of the mushy stuff, I wanted to put together a giveaway as my way of saying thank you and happy holidays! All of the items in this prize pack are from Ontario makers – most of whom I have met on the craft fair circuit. So wanna see what is up for grabs? Time to get all Price is Right model on you. Picture me sweeping my hand next to these pictures to display the goods and in my fanciest sequin ballgown. 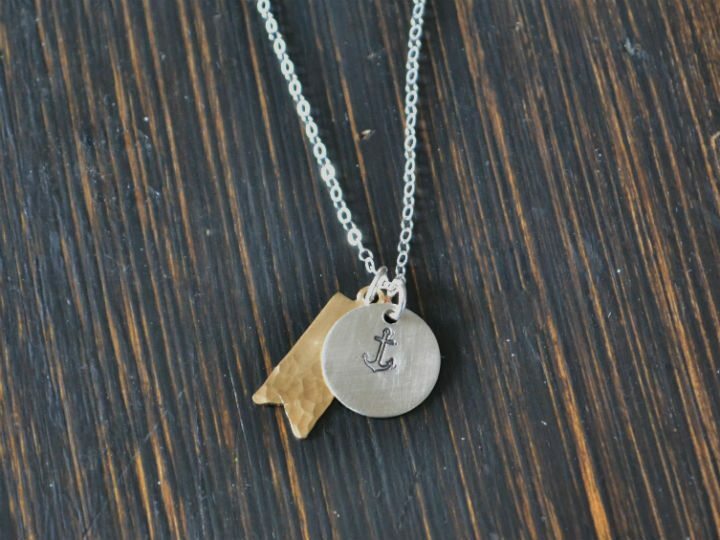 First up is this fun and dainty necklace with a half inch sterling silver disc that has hand cut from recycled silver and stamped with a tiny anchor, matey. Finished off with a brass hammered finish pennant charm. These are set of a beautiful, solid 18 inch sterling silver chain. The length of this chain will allow the pendants to sit about 2 inches below your neckline. Made by the super-popular Salvage Jewelry Co. $60 value. Gotta have some earrings to go with your necklace. 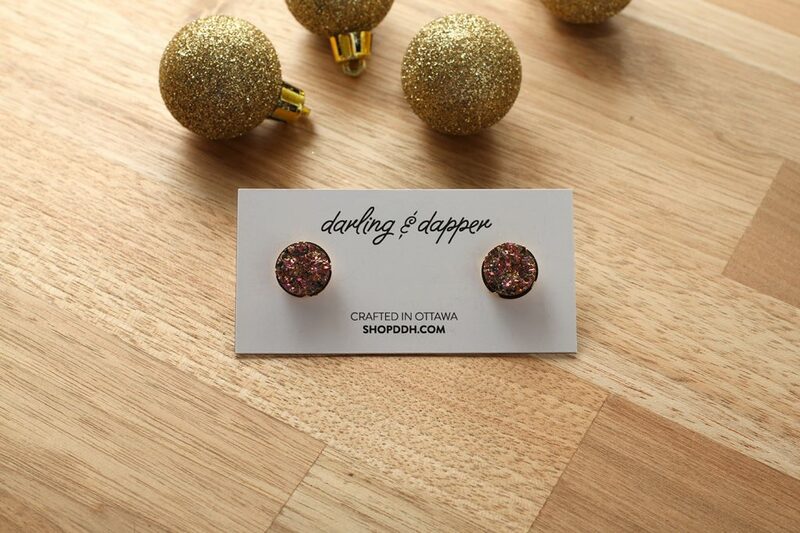 How about these ridiculously gorgeous and understated rose gold Capella earrings (rose gold!! druzy! my faves!!). The posts are gold-plated stainless steel. 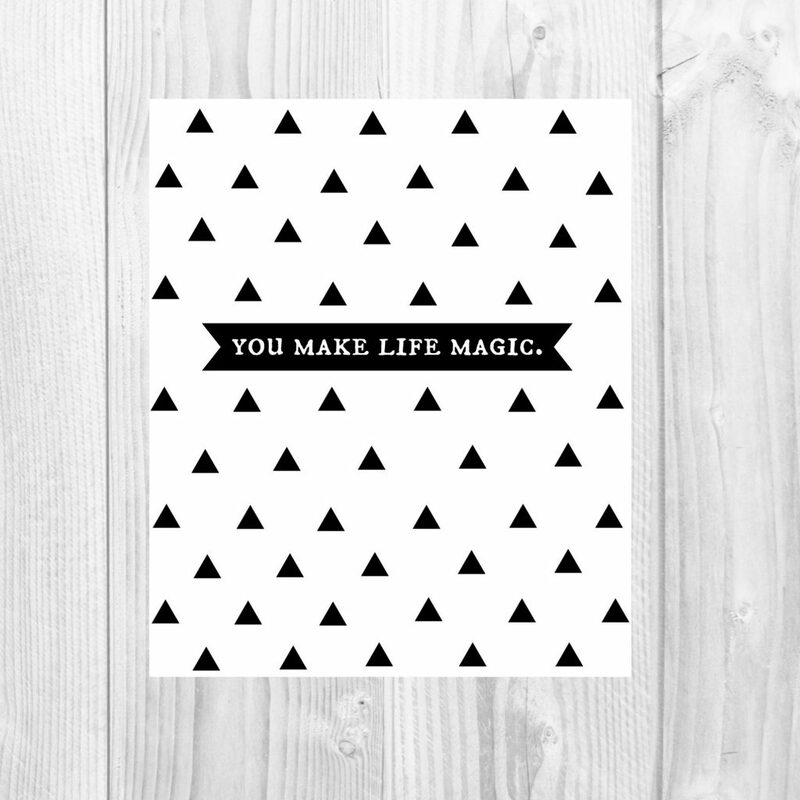 Made by Daring & Dapper. Value $20. 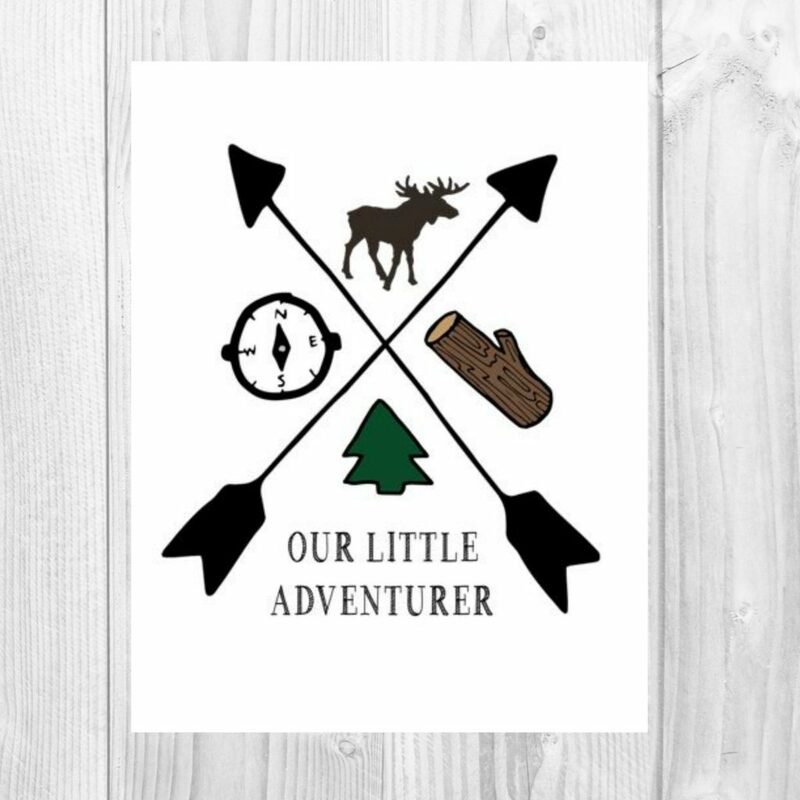 Next up is something for a sweet little babe in your life. 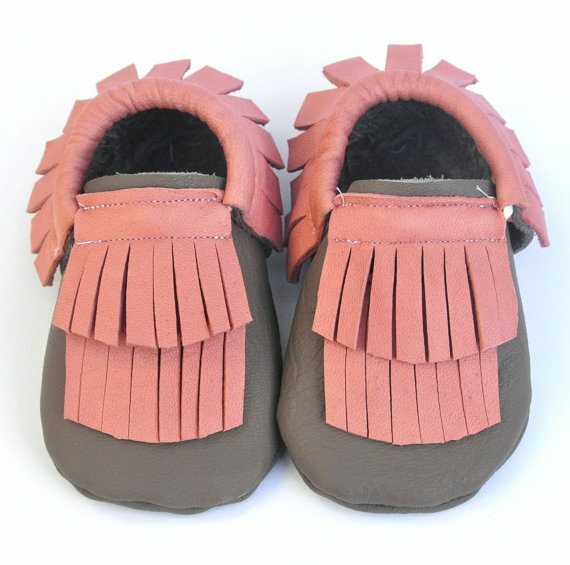 Little Yeti Shoes are lovingly handmade using real leather. The shoes have soft soles, which are gentle on baby’s feet and perfect to toddle around in. Elastic makes the shoes easy to put on and stay on. $30 value. These gray and pink ones are so cute, don’t you think? Sweetest girl ever, Emily, makes the most delicious smelling candles EVER for her Campy line. 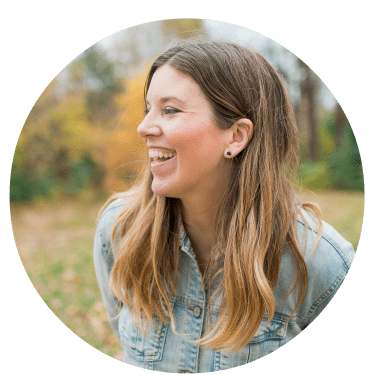 She’s also the one behind the super sweet Almonte-based shop, Hello Yellow. 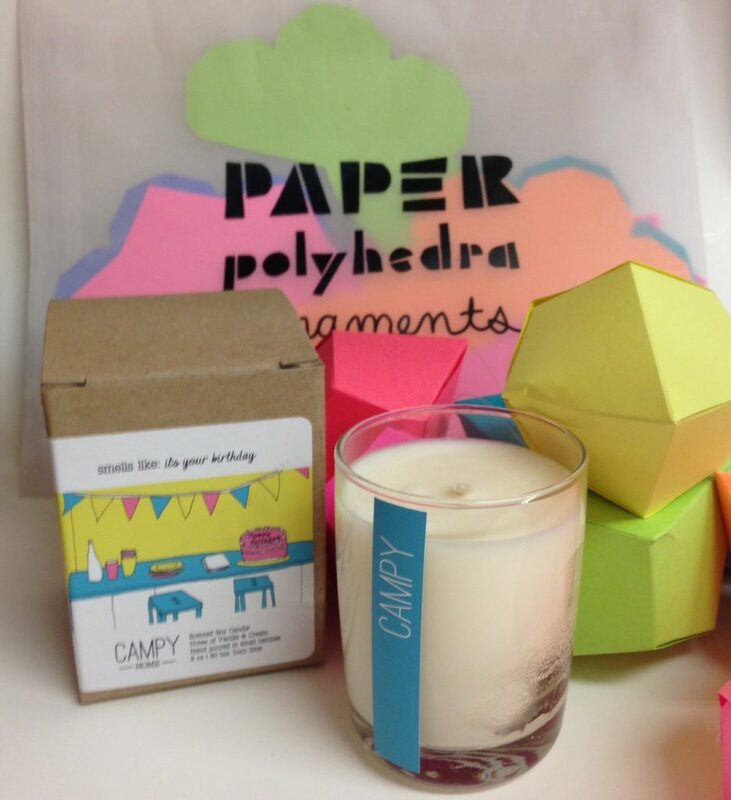 This “it’s your birthday” soy candle and pack of polyhedra ornaments are up for grabs. Total value $40. And lastly, I’ve got you covered for some holiday cards for your family and friends. 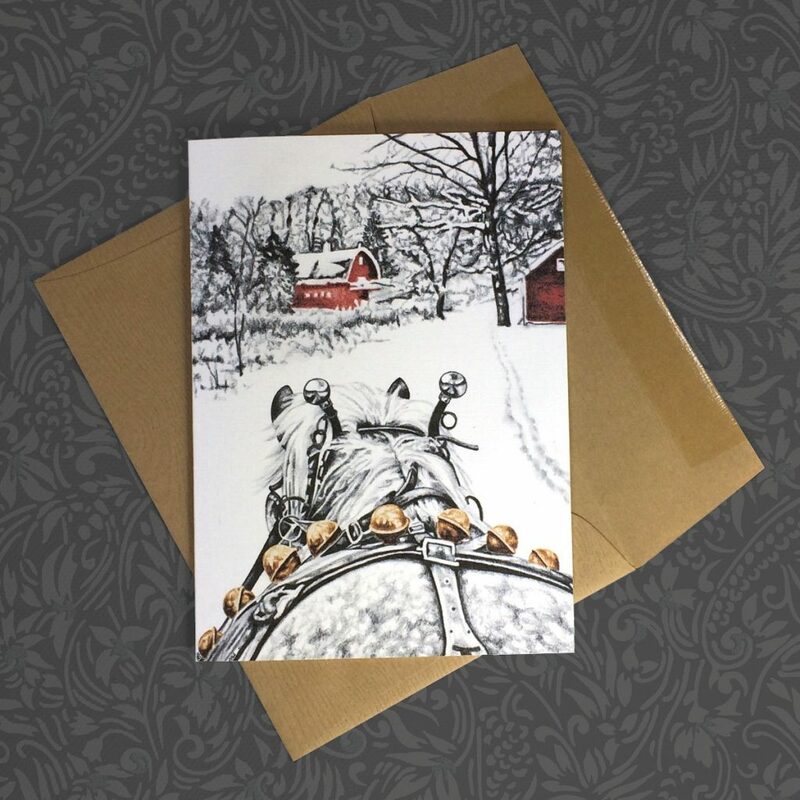 My girl Jessica from Ink Blossom makes these gorgeous cards — that is a drawing that she did herself! So talented, amiright? And want to enter some more giveaways to win some other amazing prizes? 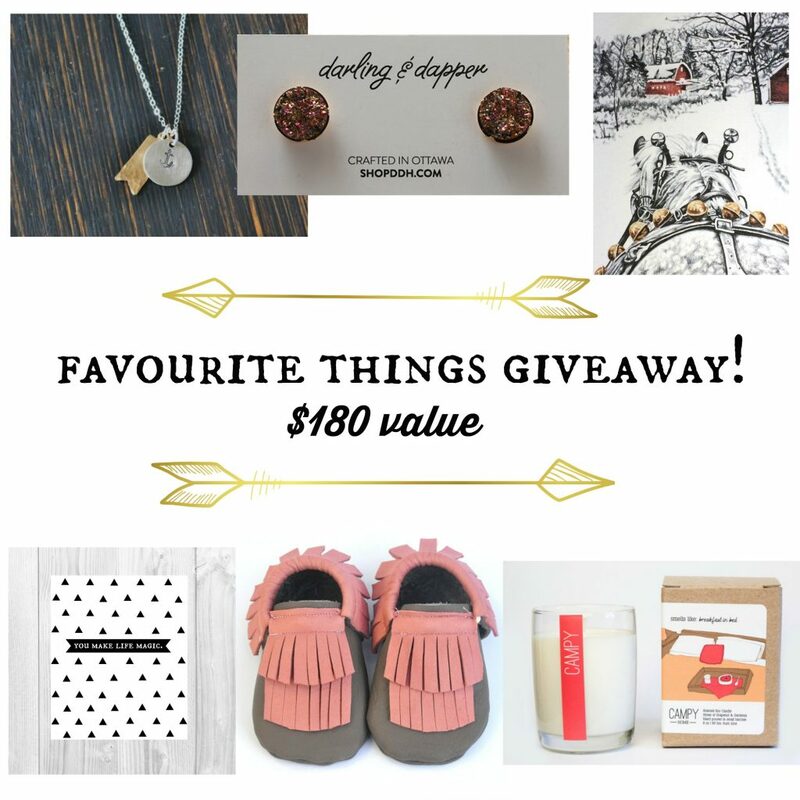 Well, a group of my blogger friends across Canada have all put together giveaways of their favourite things. Kind of a la Oprah and her favourite things series, minus the whole free car for everyone thing. If only bloggers could wheel and deal giveaways like that! Anywho, visit all the blogs listed below to enter your name into these draws. Unless you know, you don’t want to win awesome free stuff, that is. These are great stuff you giving away. LOVE IT! My favorite things are books and artwork.